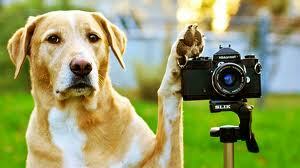 Toronto Dogs Directory: The First Photo Contest Of 2013 Has Arrived! The First Photo Contest Of 2013 Has Arrived! It's not that I'm lazy and couldn't come up with a theme....it's simply that it's about time for you guys to choose your best photo and not have to worry about fitting into any particular category. I have been a bit of a dictator with past contests haven't I? Point taken. 1) The contest is open from today until Friday March 15, 2013 at 12:00 pm. 2) One photo per person limit, and images may be professional, but not copyrighted. 3) Please send photos to torontopetdaily@gmail.com and include the name of the pet(s), as well as your name and address. 4) Finalists will be announced on Saturday March 16, and then voting will be open until March 31. The winners will be revealed on April 1. Through these contests the TPD has given over $1000 to charity and over $4800 in prizes.....let's keep giving shall we? There you have it all......get snappin' and check out the Global Pet Foods' "Show Us Your Heart" Campaign!